Home to some of the most stunning beaches on the planet, the Maldives truly is the ultimate honeymoon location. This is not only because of its spectacular white sand beaches, but also because of its fantastic climate, top-notch resorts, and exceptional natural beauty. It is the perfect place for any couple to celebrate their love, complete with private pools, candlelight dinners on the beach, and fantastic service. It is such a wonderful honeymoon destination that Harper’s Bizarre rated it as number four on its list of ‘The 18 Romantic Destinations to Honeymoon in 2018’, saying that it is “tailor-made for ocean-going couples”. Whether you and your loved one want to enjoy first-rate spa treatments, world class diving or dining under the water, you can be sure that any honeymoon in the Maldives will be a memorable one. This is not only due to the impeccable hotels in the Maldives, but also as a result of the unforgettable excursions that can be enjoyed. Plus, you can’t beat the weather. 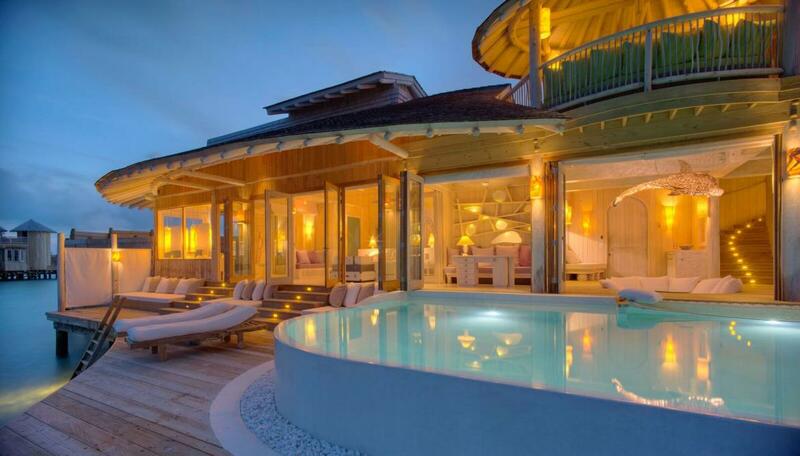 Not that you need any more reasons to be convinced that the Maldives is the ultimate of honeymoon locations. But here are a few. There are close to 100 different private island resorts to choose from in the archipelago, with nearly every one of them offering Maldives honeymoon packages. Regardless of which one you choose, you will be in total barefoot bliss with your very own private villa either right on the beach or over the lagoon. You will also be totally secluded from the outside world to enjoy each other’s company. Plus, the surroundings both on land and in the water are something straight out of a magazine. 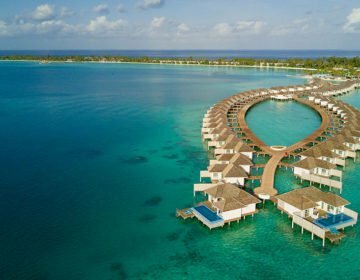 Everything you could ever dream of in a honeymoon is sure to be satisfied while staying in one of these exceptional Maldives resorts. The Knot magazine pegs it as one of the 21 Best Honeymoon Packages and All-Inclusive Resorts and it is not hard to see why. 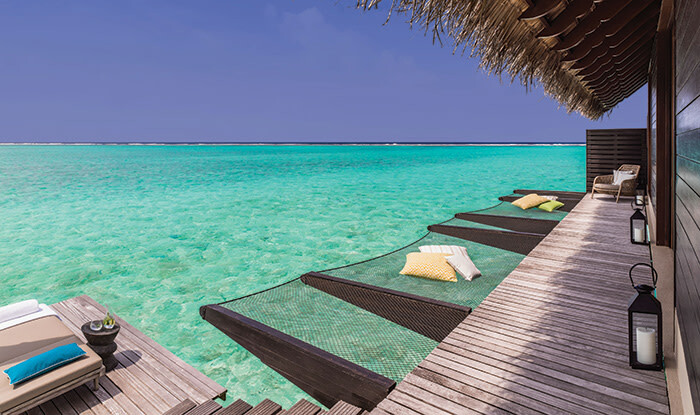 Per Aquum Huvafen Fushi is what a honeymoon in the Maldives is all about, especially if you stay in one of their Ocean Bungalows with Pool. These are the best that the resort has to offer honeymooners, boasting a glass floor looking down at the myriad tropical fish, freshwater plunge pool, oversized Jacuzzi, and direct access to the lagoon. You even get private butler service! It is an award-winning resort with prices and service to match, but it is well worth it considering the immaculate villas, incredible restaurants, magnificent spa, and private excursions. This superb all-villa resort is the perfect place to stay for a magical honeymoon holiday. It is such an exceptional place that elite traveler featured it amongst its Top 100 Hotels in the World 2018, which comes as no surprise. The One&Only Reethi Rah oozes romance, from its magnificent water villas that feature netted wrap-around hammocks suspended over the water to its private terrace with direct lagoon access. 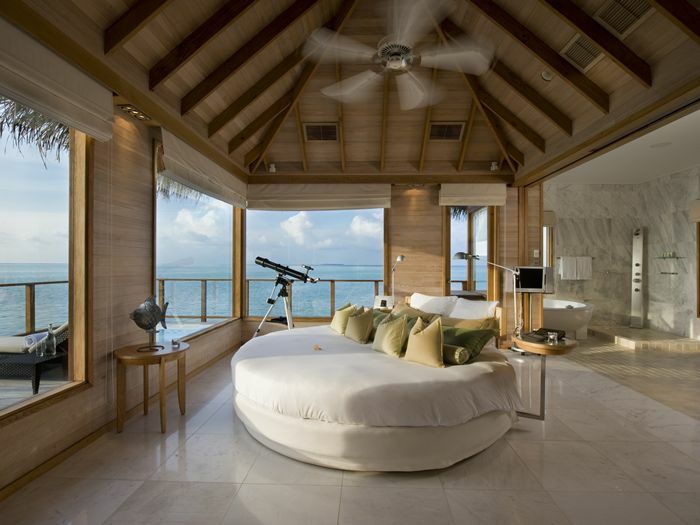 We can’t forget to mention the villa bedroom that directly faces the water. The stylish beach villas are just as exquisite and open up to a stretch of private beach. Opt for their honeymoon package and dine under the stars or in your villa, and enjoy serene couple spa treatments. Click here to make a booking at One&Only Reethi Rah. You may not see anyone for days if you honeymoon at the Conrad Maldives Rangali Island; it is that exclusive. That or all of the other guests are off diving and snorkeling, as it is surrounded by some incredible coral reef. The resort also offers other activities, like visiting local villages, watching manta rays, and swimming with whale shark. 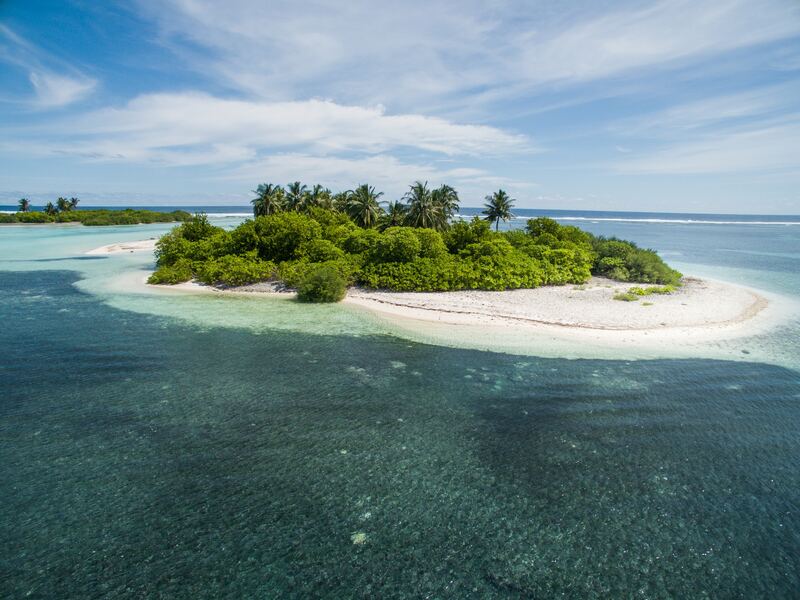 Or sail away on one of their yachts and enjoy a romantic picnic lunch on a deserted island. The rest of the resort is just as impressive, what with its over water spa, fantastic wine cellar, and unforgettable Ithaa Underwater Restaurant. If that’s not enough, you can stay in a Retreat Water Villa and enjoy your very own spa treatment room, whirlpool, and large deck hanging over the water, or in a Superior Water Villa to enjoy the beautiful sunset views. It is no wonder why the Telegraph named it as one of The most romantic hotels in the Maldives. Click here to see more photos and book at Conrad Maldives Rangali Island. This phenomenal resort is located in a private lagoon in the Noonu Atoll and is completely surrounded by stunning coral reef. 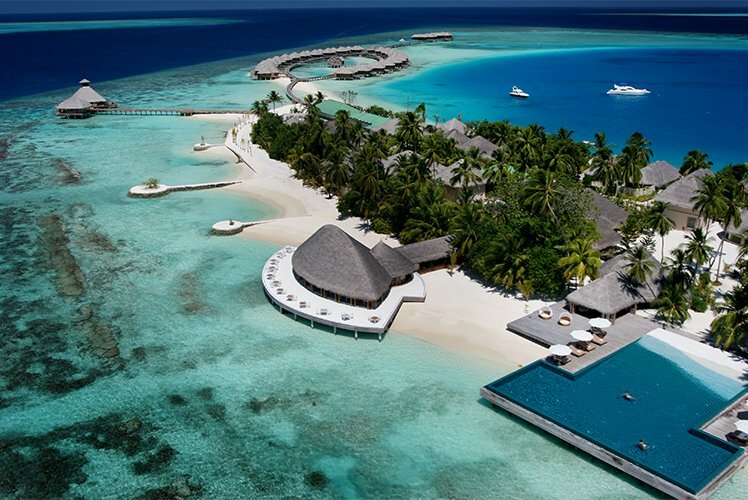 It is named after resort owners’ Sonu and Eva Shivdasani (Soneva) and the Sanskrit word for wisdom (Jani), with its entire theme being based on the inspiration of the owners and their knowledge of the Maldives and the five-star resort world. Soneva Jani features a collection of water villas and island sanctuaries that are fringed with pristine beaches and surrounded by crystal clear waters. Some of the principal features of the property are the exceptional over-water spa, overwater observatory, and incredible dining experiences. Book a honeymoon package and be welcomed with a bottle of bubbly that you can enjoy on your private rooftop deck. To make a booking, click here. 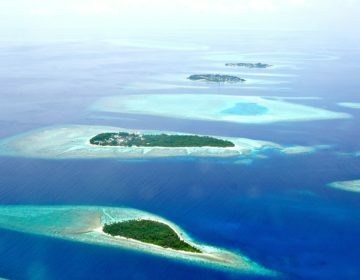 The Maldives is made up of around 1,190 coral islands that are grouped into 26 different atolls. In total, the islands are spread out over nearly 56,000 square miles, composed of coral reefs, sandbars, and stunning lagoons. In fact, 99 percent of the archipelago is water, with much of its natural beauty living in this water. Though there is also beauty on each and every island thanks to the mesmerizing beaches and lush green interiors. There is so much amazing marine life living in the water and the coral reefs around the Maldives islands. As a matter of fact, there are over 2,000 species of fish swimming in the water, including colorful reef fish, moray eels, manta rays, and whale shark. Some of the islands are also breeding grounds for sea turtles, including hawksbill, green, and leatherback, with resorts protected the eggs that they lay on their beaches. There also happens to be 21 species of whale and dolphin living in the archipelago, making dolphin watching excursions quite popular amongst honeymooners. 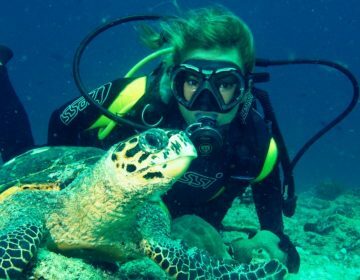 The Maldives has become known as one of the best diving destinations in the world thanks to its abundance of marine life. Honeymooners should not miss the chance to swim under the water hand in hand to catch a glimpse of some of the beautiful marine life. 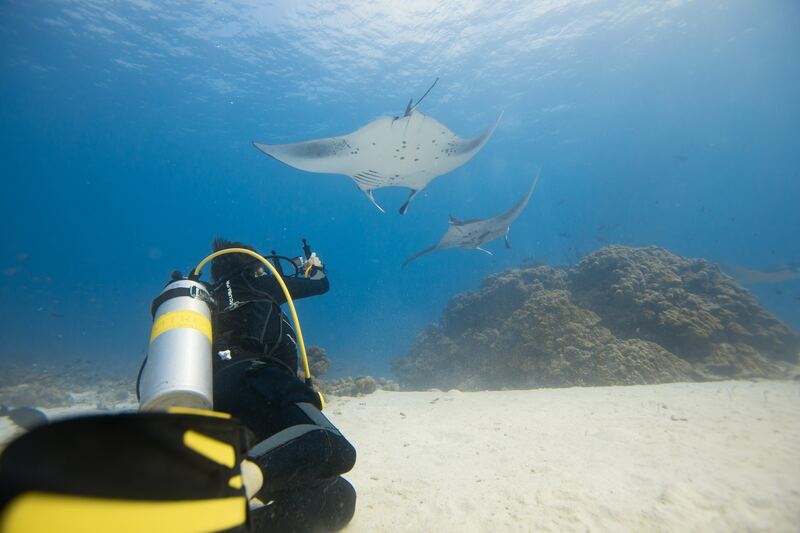 Top diving sites in the Maldives are found in the Ari Atoll, South Male Atoll, North Male Atoll, and Addu Atoll. Some of the beaches in the Maldives are often seen on top beaches in the world lists, like those on Dhigurah Island, Cocoa Island, and Reethi Rah. Regardless of what private island resort you stay on while on holidays to the Maldives, you are sure to be impressed by its phenomenal white sand beach that is backed by lush tropical greenery. Barefoot luxury is the moto of the Maldives beaches and can be followed to the tee when staying at any of its fantastic hotels. Many resorts offer honeymooners private island hopping excursions so that they can visit some deserted islands. The beaches on these are completely untouched and make for very romantic picnic spots. As well, they will look great in your memorable holiday photos. There are very few hills in the Maldives. But there is an abundance of tropical vegetation, including breadfruit trees, banana trees, papaya trees, mangroves, and citrus trees. Let’s not forget about the coconut palms that sway along the coastlines, as it wouldn’t be the ultimate honeymoon location without them. All of the resorts in the Maldives have magnificently tailored properties with lots of lush greenery for the full tropical island experience. In addition to the swaying palms trees, some also boast magnificent gardens or stretches of jungle that they have left completely untouched. A stroll through the greenery around the property with your new spouse is sure to be just as romantic as a walk along the beach. Every Maldives hotel offers excursions that will help make your honeymoon that much more exciting and memorable. These can be in the water or on land, but all-in-all they will ensure that you both have an exceptional holiday. Some popular excursions include scuba diving, snorkeling, manta watching, fishing, and island hoping. 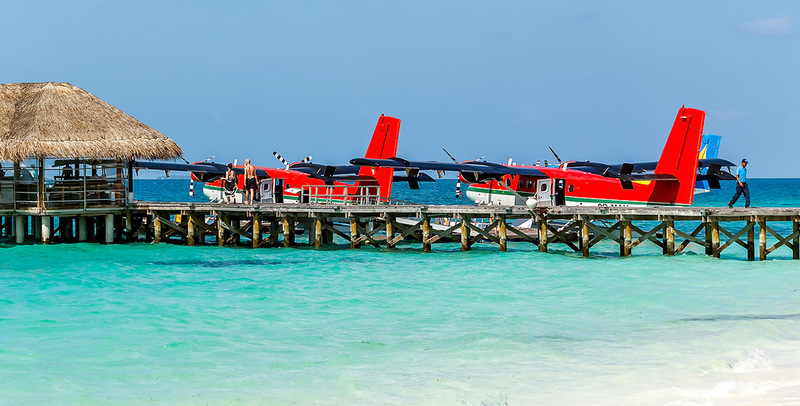 If money is no object, get aboard a seaplane and enjoy panoramic views of the archipelago. Most of the more upmarket resorts have their very own planes that will take you soaring above the islands, or you can enjoy them while sailing around in a private yacht. The opportunities really are endless. The best time to go to the Maldives differs from person to person. At the end of the day it depends on when your wedding day is. But many try to avoid the monsoon season for obvious reasons, though it is the best time to snag yourself the best honeymoon deals. Still, there are two seasons that dominate the Maldives; dry and wet. This takes place between the months of December and April. 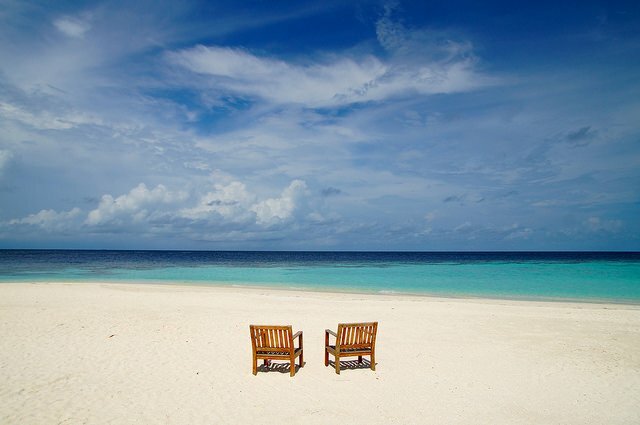 When the Maldives are in the dry season it means lots of sunshine and little rain. However, there is always the chance of showers in the archipelago, as it is a tropical country. But they are less likely in the dry season. This also happens to be the busiest time of the year and when most people enjoy holidays in the Maldives. As a couple just started out it means high resort rates. Plus, due to the winter holidays, it is the most popular time of the year for families. If you are enjoying your honeymoon in the Maldives, this could play a big factor. Also known as the monsoon season, this season runs from May to November. Expect rain throughout, although September, October, and November do tend to be the wettest months of the year. Again, this is unpredictable. If you are having a summer wedding then a Maldives honeymoon during the wet season is highly likely. The good news is that rates often lower, so you will pay less to stay in a top-notch hotel or can even splurge and stay in one of the best of the best for a lower rate. July is the driest of the wet months, so it’s not a bad time of the year for luxury honeymoon packages. If you are still not convinced that the Maldives is the ultimate honeymoon location than watch Maldives: Heaven on Earth (Most Romantic, Honeymoon, Holiday Destination) for some inspiration, or read our Romantic Maldives Honeymoon Tips. Yet, you really must visit the archipelago to truly understand the overall beauty of the place, and why people come back time and time again. In fact, tourism has skyrocketed. What was once an area that was home to just two resorts is now one of the world’s top honeymoon destinations, and over seven million others would agree.